In Episode 2, we got ourselves a lucky treat in the world of Online Marketing, Email Marketing, as well as Marketing Automation. In short, we got ourselves Jimmy Kim from Snaptactix. Note: Before we begin, here’s the link to Jimmy’s flagship Email Marketing software: Sendlane. You can try it out for 14 days. Awesome! These accolades and skills are the very reasons why Jimmy is responsible for helping over 30,000+ students from over 68 different countries set up – and succeed with their online businesses. In this jam packed episode, I got deep down into the minds of Snaptactix’s content marketing processes and thoughts, and tried to figure out why they are so successful today. You can connect with Jimmy via Twitter here. In this podcast episode, you’ll not only learn about how Jimmy purchased the wrong domain name for Snaptactix, you’ll also learn the challenges that Jimmy and his team faced early on when Google penalised their content in the new Google algorithms. You will also learn how Google rewards those with powerful content, and why trial and error remains one of the best ways to do online marketing today. If you like this episode, then be sure to subscribe to the Contentrific Podcast on iTunes, or you can alternatively sign up for our newsletter, so you don’t miss the next episode. Don’t Like Listening To The Podcast? Question #1: For the benefit of our audience, what’s the story behind Snaptactix? Snaptactix started kind of like an accident. In 2009, I kind of stumbled into Internet Marketing by a friend and mentor of mine. I was like: My Name is Jimmy Kim, so, alright, I’ll use JK Marketing. And that’s how my Internet Company was born back in 2009. And through the years from 2009 to 2014, I kind of was okay with keeping the name as it was, registered it as an LLC, did all the corporate stuff, but I quickly recognised that it probably won’t be a good brand-able name in a company as we grew. So one day I started to go hunting for new names. I went to a resource called Brand Bucket, which is a domain name searching place, and I spent all day just searching and looking at domains, looking at things that popped. What was really funny about it was that Brand Bucket gave me an idea, and I actually bought the domain but I didn’t actually buy Snaptactix, I bought Snaptactics instead. And I first started, hey, this is a great name, but as our team sat back, and we kind of looked at the name, we quickly recognised that it doesn’t sound so cool, because it wasn’t a play on words – not a made up word. We loved the concept and idea of driving content or delivering content or tactics at a snap. That’s kind of how we kind of evolved to the X at the end of Snaptactix. The reason why Snaptactix was born was purely because it was really in line with where I wanted the company to go. When I first started the Company, it was because I was an Internet Marketer, doing my thing, such as SEO, building my list, and so on. Over time, as I started to create more and more products to sell (both in software and automation driven products), I kind of realised that I needed to create a pure focus behind the brand. That was when Snaptactix was really born. #2: What Drives Your Content Marketing at Snaptactix? So the content was driven based on an idea. My ideal concept in my mind was very simple. The 4 things in my mind that are the most important in having a strong online business. This is why our focus at Snaptactix is on these 4 pillars. So, that’s where Snaptactix began, and how it happened. #3: How Did You Arrive At The 4 Pillars of Focus for Snaptactix? When it comes down to it, we focus on those topics, because they are topics that are really dear to my heart, basically. Email marketing has always been the core. As the CEO of Sendlane, and as someone who’s a heavy email marketer since 2009, i’ve always had email marketing dear to my heart. I could talk about email marketing for hours and hours on end. Now, automation and traffic generation, those are actually some things that I absolutely love. Traffic – I buy traffic all the time. I spend money on traffic, I love traffic. I think there’s nothing better in the world these days than getting paid traffic. I know people talk about free traffic all day long, and look for that magic pie in the sky, but let’s face it: If you’re a serious business, and you want to scale, and you want grow, you’ve got to pay for traffic. And that’s why we talk about traffic generation. 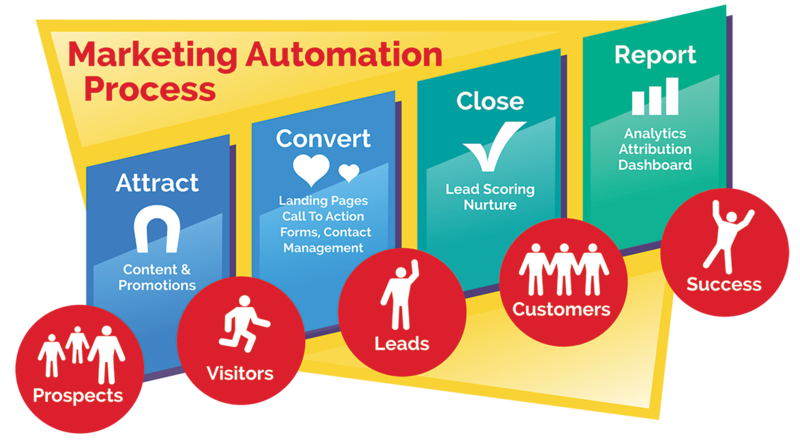 Automation is at the heart of every successful business these days. We’re no longer looking to do everything manually, we’re looking to automate the process. My company creates software automation tools for small online businesses. And so, with that in mind, automation kind of fell in perfectly. Social media has always been something i’ve always wanted to be good at, and I knew that in order to be good at it, I’ve got to talk about it more, and be about it more. We’ve actually did things like: Hire someone who is our Digital Marketing media Manger, who just handles our social media in general, and just getting things going. #4: Let’s Be Honest Here, The Competition For Customers Is Huge In Automation. What’s Your Take On That? I understand that automation is a big topic. Automation is something that everyone is talking about, and I don’t think that there is too many people that can talk about automation. I think automation is a keyword that people are finally starting to adapt to. What’s funny is that I started talking about it probably in 2013, when we first started Sendlane. We started talking about automations and automated serieses, and tagging, and all that stuff. What’s funny was that a lot of people beat us to market with it, but every time someone came out to market with it, we kind of got slapped for it. But now, we’ve caught up enough, and we’re pretty proud to say that automation is a pretty huge part of our company. We try to make sure that we can not only service our customers in an automated fashion, as much as possible, but in all our processes and the things that we do. I don’t actually feel that there’s a level of competition, I think it’s more like co-opetition if everyone can help push automation in the world of Internet Marketing, I think it will be a better place. Customers will be happy, and things will work better when it comes down to it. Instead, when there’s a new theory or thought, you should consider cooperating with your competition, so that end customer benefits instead. However, it’s important that you move fast, since your competition most likely is rushing to launch their products into the market too. #5: So Given The Competition Is Kind Of Heavy, How Has Content Marketing Worked Out For Snaptactix? One of the concepts that I teach pretty heavily, when it comes to Internet Marketing, or online Entrepreneurship, is that you’ve got to find a good balance of being out there in the world. Content, or content marketing, which has become the big word for blogging, basically, has been a big driver for us, because it has allowed us to connect with our customers in multiple ways. Not only for paid advertising, but also for our email list, and our students having a place to come and learn, for free, to read and understand. Not only that, what’s big about it is that the content marketing that we do, the driving part, and the driving nature of it is – it’s sales at the end of the day. It’s branding, it’s sales, its also about creating a process, such as a retargeting pixel for our paid advertising. So there’s a multitude of reasons why we do it. The fundamentals behind our content marketing is just having a great place to service our customers. Team has never been a big word of mine, from 2009 to 2014. When I tried to be a solopreneur. I’d tell you, for the longest time, I thought I could do it all. I thought I could design, I thought i could do the web page, I thought I could outsource anything I needed to do. The only thing that I didn’t really like doing was customer support, just because it’s very time consuming. And I decided that I could do it myself, but when 2014 came, and my scale started to grow past the multi 7 figure mark, I kind of quickly recognised that having a team is essential for your business. Not only does it allow you to focus on the things that you’re really good at, it also lets you run your company in a more autopilot fashion. They always says if you are the person in the company that disappears, and the whole company falls apart, then you’ve got a problem, and the only way to create a team, or an environment, or a company, that would always continue to grow, and continue to be of maximum value, where you can live on without the founder or company is to build a team that understands. Our team consists of all sorts of people, to make it really straightforward, we have our Customer Happiness Team, we’ve got our Project management, we’ve got the development and operations team, and our design and marketing team. Each avenue works with one another cooperatively in different avenues, yet they work on their own separate projects. That allows us to work on multiple things at multiple times, in different avenues, and still be able to deliver teams. So if we are creating a product, we know that it starts off with Ops, development, then Marketing and design. While that’s happening, the Customer Happiness team is figuring out to make sure that we have everything in place. Finally, the Marketing team takes it off, and releases it to the world. Our team is now 11-12 strong in San Diego, and it’s really been an exciting ride, and we continue to grow, and continue to focus on that. Once you have a team, build a certain process or procedure around it, and you’ll be all for the better. #7: Obviously, Trust is The Name Of The Game, So How Has Content Marketing Helped You To Achieve That? More Specifically, How Has It Changed With Google’s new Algorithms? Content Marketing is just a fancy name for blogging in 2015-2016, and the future. Its a corporate way of blogging, without actually calling it blogging, but it really is blogging in its own weird way. I remember the days when I did SEO, back in 2009 – 2010, when I did exactly what you said – It was so easy to just spam keywords and get yourself ranked so fast. But in 2016, it has really changed. 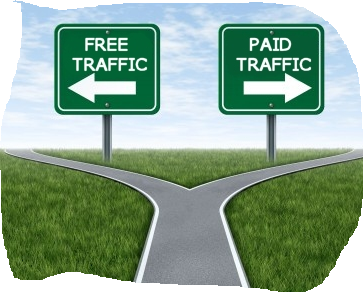 Again, paid traffic has made anybody, it doesn’t matter what company it is, become a powerhouse and authority. It’s so simple to gain the traction that you need to become a powerhouse and authority. Secondly, I still believe that Content is king and having great content is the key. I don’t think it was a bad thing when Google banned a bunch of people, I believe it was a great thing, because it allowed the people who are actually committed to putting their work, effort, and time into creating great content that’s shareable to the world. Become able to rank on that content is absolutely powerful. Back in the day 2009-2010, my pages were garbage. They weren’t that great. They didn’t have great content. I just wrote out some blurps, and some stuff that I found on the Webpage or the affiliate offer – i just copied and pasted a bunch of stuff – made sure that i hit a bunch of keywords. And boom! We got great rankings, we would get traffic, and people would click through. But now I feel that servicing, engaging, talking to people, edifying them, getting them to click and go through different places on your page, opting in – there’s so many things to do in Content Marketing, that people didn’t do back in the day. Not to mention, I think you’ve got to have great colors, and great looks, and aesthetics. At the end of the day, one of the things people don’t realise is that a web page is now your digital business – your digital real estate. so you’ve got to have the right aesthetics, you’ve got to make sure that the company is looking and representing itself well. Obviously, when you come to a page like Snaptactix, versus a page where it may not be quite as pretty, or quite as nice, the problem that you face is that trust starts to lose, but when you come to a really pretty page, really well thought out, and well laid out, the trust grows, and it makes people want to continue to visit, and revisit. If you are totally committed to providing quality content that is shareable, you’ll definitely get some love from Google. When it comes to challenges, the hardest part was trying to find the voices that we needed when we were speaking to people. We’ve been through a lot of different content over the years. Over the past year, while we continue to release content to the marketplace, we found alot of misses, and alo of hits. That generally to really help people, not to mention a lot of Basic Talk. Believe it or not, a lot of people kind of forget that not everybody is as well accustomed to the content or the information on our site, or the information the web in general. Speak In Basic – Your Audience Needs It! There’s a lot of 101 stuff that we do, and it’s been always good and received well by people, because a lot of people forget and try to skip their basics. One of the biggest problems that i’ve found, for example in the Internet Marketing world, or the marketing world in general, are that people are out there teaching businesses, trying to teach them their higher level thought process, but the problem is they never were taught the lower level thought process. My view is that when it comes to the challenge, the biggest challenge is just finding our voice, and just making sure that our voice related to our audience, making sure that our voice was communicating and teaching, and not just showing them some words on a page that they may or may not read. Make sure that your voice includes speaking in basic language – many people skip the basics and go straight into the Advanced, which is wrong. This leaves a huge gap in the market that you might want to tap on. #10 So How Did You Overcome Those Content Marketing Problems? The way we overcome it is trial and error. There’s no better way than trial and error. You’ve got to continue to work through your efforts to make sure that you find your voice, find your authority, got to find everything. It’s really about just burning time, energy, and money to find it. Rome didn’t get built in a day, you’ve got to continue to push, you’ve got to continue to grow, you’ve got to continue to look for the right vision, the right voice, for your company, making sure that your vision – the one that you designed in your head, is able to be deployed and shown off to the world. Show it off in a fashion where people are excited about it, and they want to come back and continue to learn from you, and trust you as an authority. That’s my goal – my goal with Snaptactix is to get away from the brand, get away from my name, and become someone with authority with a brand. And that’s why you’ll see things like videos from myself – from my team members now. Not as many articles from me, because as the name of myself and being there is kind of an interesting concept that i’ve been doing for awhile. I went through a great course by Digital Marketer talking about how brand image is so important, and having a person to relate to, and a lot of people not being able to focus a company into becoming the brand, or creating an avatar behind that, and instead always having to relate that to a person. I could relate to that, but I think that we’ve done a pretty good job in 2016 so far. Being that we are creating an image of what we are, what we stand for – high level, high quality content products, support. You know, everything that I stand for as my core values are being characterised with Snaptactix, on it’s website, content, support, and products, and that’s what i’ve always been a big fan of – always being the industry leader in whatever form that I’m working in, I just want to be the guy that’s setting standards and setting goals, and making sure that I continue to break them on my own. Trial and Error is your best tool when it comes to Content Marketing, Digital Marketing, and Online Marketing in general. This is something that is could go on forever, but just an overview would be: I’ve created a content strategy with Snaptactix not to become an authority figure like Neil Patel, or some of these other companies. My idea was bigger and simpler. If you notice some of the things on our content, we’re not afraid to promote something in our content, or ask for a sale, or ask for an opt in, whatever it may be. But as long as you providing good enough information, they don’t care if you’re pitching them. You know, there’s a thing I call the cookie system, that I teach about in Email Marketing. It’s basically about giving a person a cookie, and taking it away at the same time. As long as you leave cookies in that person’s hand, you can continue to take away or promote to them and make sure that you are doing it. All our blogs are vetted by me, at the end of the day, be it giving the final stamp of approval after Kris our project manager works through them, and make sure that she thinks that it’s satisfactory. And the idea is very simple. I want to make sure that we are delivering value. Value first, then we’re going to ask for something. We may ask for a sale, we may ask you to show you a product, we may ask you for a opt in, or whatever it may it. But we do that on purpose, and that’s the goal of it. My ultimate goal of Snaptactix has always been simple. It becomes a central hub for us. It becomes a hub where we can do our content marketing, via advertising and free traffic. Make sure that people are coming to visit our site. From there, we’re able to promote and sell products, continue to retarget them. Now they’ve got the bread in their head, they know what Snaptactix is, they came to our blog, they’ve read an article too – i can retarget them. That’s what content marketing is. it’s building a rapport and authority in a way where you can do it without actually touch, feeling. Even doing by video, alot times, we just avoid that on purpose, because we want to continue to make sure that we are content heavy. Snaptactix aims to create great, powerful content, and promote them via paid advertising and free traffic. At the end of the day, the core lesson that I learnt from Jimmy, is that Google’s new algorithm makes testing the system almost a waste of time. At the core, what’s really important is to find the voice of your content, making sure that your “storefront” is solid, and just truly connecting with your audience through the different channels that you have. What did you think of this episode? Did we talk about any concepts or points that you felt as underdeveloped? Comment down in the section below!